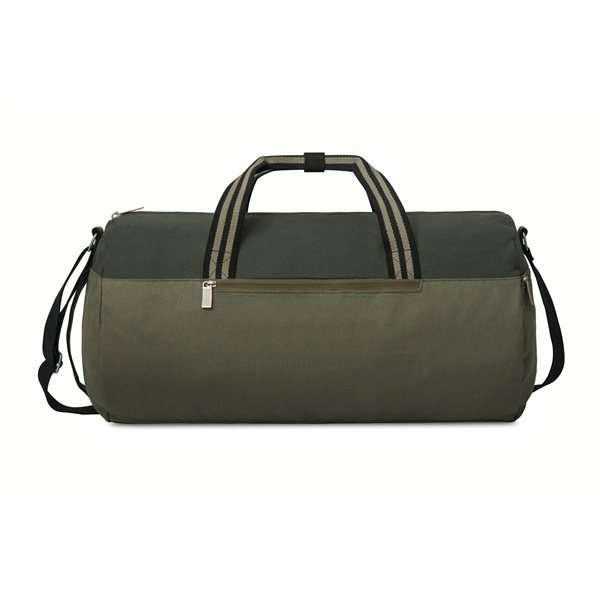 Classic cotton barrel duffel style with modern appeal. Zippered opening to the large main compartment. Front and side zippered pocket. Top grab handles with webbing handle wrap. Side grab handle for ease of travel.